Download our publications in pdf form or request a print copy from presse@fau.de – while stocks last! A summary of key information about Friedrich-Alexander-Universität Erlangen-Nürnberg: study, research and life at FAU. An overview of the most important facts and figures on Friedrich-Alexander-Universität Erlangen-Nürnberg. This brochure will introduce you to life in Germany and answer some of the most important questions you may have when you first arrive. It is designed for international students studying or doing a placement at FAU. Information and tips for researchers who have recently arrived at FAU. This guide for international students aims to introduce you to life in Germany and answer some of the most important questions you may have when you first arrive. There is a lot to learn in your first semester including many foreign words, abbreviations and technical terms. The ‘Good to know’ brochure is an A to Z of some of the most important terms which you will need during your time at FAU, including links with further information. These useful terms are also available in our online glossary. This flyer contains tips for authors about open access publishing. Open access stands for free online access to academic documents, with the goal of maximum dissemination and fast availability of research results. 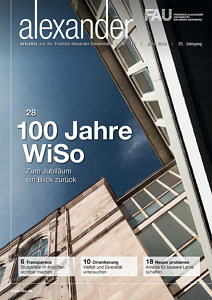 friedrich is FAU’s research magazine and is published once a year. The topic of this issue (German) is ‘views of the world’. For hundreds of years, when trying to find universal views of the world, scientists had to rely mainly on what they saw. Today astroparticle physicists, for example, are primarily concerned with what we can’t see. The current issue also looks at foreign worlds, world politics and the world of tomorrow. alexander is published several times a year. It covers all aspects of university life – research, teaching and study, and internal affairs. 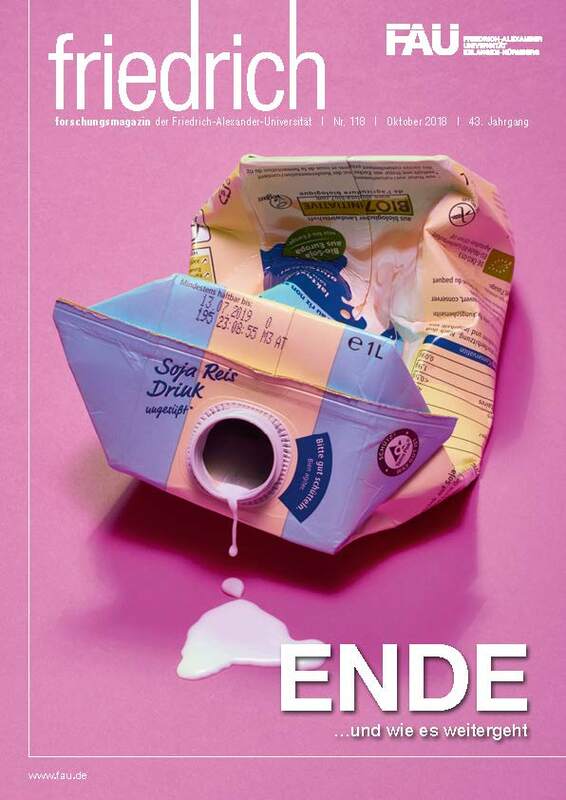 The magazine frisch! an der FAU is aimed at students new to the University and provides information which will help ensure they have the best possible start to their studies, life and work at FAU and in Erlangen and Nuremberg. 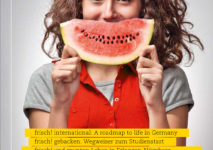 The magazine explains almost everything that students will need to know about the University, such as how to organise a semester abroad, where to get help and advice on their studies or what job opportunities are on offer in the Nuremberg Metropolitan Region. It also has plenty of tips on how to spend time outside studying – from taking a course at the language centre or joining a university sports team to getting involved with the university radio stations. The current issue of frisch! Information on services available at FAU and Universitätsklinikum Erlangen. The ‘Stiften und Schenken’ brochure sets out the foundations that exist at FAU. Earlier publications are available in the archive. Earlier reports are available in the archive.